The Student Affairs and Scientific Research Dept. at the University organized a workshop about "university student researcher competition". 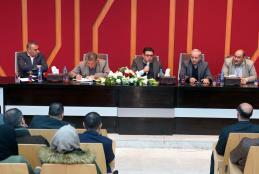 Which was launched by the Ministry of Education and Higher Education in its second edition. The workshop hosted The Assistant Undersecretary for Higher Education Affairs in the Ministry Dr. Ehab Al-Qabj, and the Director of Scientific Research Dept. at the Ministry Dr. Bassam Al-Hajj. Where Dr. The workshop aims to enhance and encourage AAUP students to participate in the university student researcher competition, and to introduce them with the terms, fields, categories and awards of the competition. 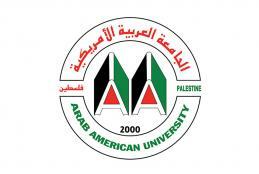 Arab American University (AAU) is pleased to announce the Award of Eng. Zuhair Hijjawi (Member of the Board of Directors and Member of the Board of Trustees) for Undergraduate Scientific Research in Palestine for 2018/2019.